Whether you serve it for breakfast, as an after-school snack or add it to smoothies, yogurt can be a healthy food in your kid’s diet. Yogurt is an excellent source of protein, which promotes satiety and can prevent weight gain. It’s also a great source of calcium, potassium, magnesium and vitamin B12 as well as probiotics, the healthy bacteria that boost kids’ gut health and strengthens their immune systems. Studies show kids who eat yogurt may eat healthier overall too. According to a January 2018 study in the European Journal of Nutrition, compared to kids who don’t eat yogurt, those who eat 60 grams of yogurt a day have healthier diets and higher intakes of key nutrients like calcium and iodine, lower levels of hemoglobin A1c, a marker of diabetes, and lower blood pressure. Yet not all yogurts are created equal, however. Many are too high in sugar, have artificial ingredients and may not be the best source of probiotics. Here, learn how to sift through all the choices and choose a healthy kids’ yogurt. In recent years, Americans are eating more yogurt than ever before. According to a 2018 report by ResearchandMarkets.com, sales of yogurt in 2017 reached nearly $9 billion. It’s no surprise then, in order to meet consumer demand, there are dozens of different brands and types of yogurt on grocery store shelves. Choosing between the different types of yogurt is usually a matter of preference. For example, Skyr yogurt is thicker and creamier than traditional, unstrained yogurt. Organic yogurt is always a good idea because you won’t get the nasty antibiotics and hormones, but grass-fed yogurt, which has a better make-up of fats and nutrients than cows who feed on soy, corn and grains, is ideal. According to a February 2018 study in the journal Food Science and Nutrition, cows fed a 100 percent organic grass and legume-based diet produce milk with higher levels of omega-3 and conjugated linoleic acid (CLA), which can reduce the risk for cardiovascular disease, obesity and diabetes. Grass-fed yogurt is also a good choice for pregnant and breastfeeding moms, babies and children since omega-3 fatty acids play a role in the development of the eyes, brain and the nervous system. If your kids are lactose intolerant or vegan or you don’t do dairy because of concerns regarding cow’s milk, there are plenty of non-dairy yogurts made with almond milk, coconut milk and soy. When it comes to sources of sneaky sugars, yogurt is one of the worst offenders. According to a September 2018 study in the journal BMJ Open, of 900 yogurt brands in the U.K. tested, only 9 percent, and less than 2 percent of kids’ yogurts, were low in sugar. The American Heart Association says kids should eat less than 25 grams of added sugar a day, but studies show most kids—even babies and toddlers—eat too much. As the new Nutrition Facts labels, which include a line for added sugars, continue to be rolled out this year, it will be much easier to choose a healthy kids’ yogurt. For now, read labels and keep in mind that sugar can be hidden behind at least 61 different names like fruit juice, cane sugar, sucrose and high-fructose corn syrup. The American Academy of Pediatrics (AAP) recommend kids consume non-fat or low-fat dairy products, but many of these types of yogurt contain more sugar than their full fat versions. Full fat yogurt is also more satiating, which staves off kids’ hunger and can prevent weight gain. What’s more, studies prove that fat isn’t the demon it’s been made out to be. In fact, a September 2018 study in the American Journal of Clinical Nutrition found no link between dairy fat and heart disease and stroke and the fats in dairy may even be protective against these conditions. Yogurts with blended fruit, pretzels and crushed cookies can help persuade picky eating kids to eat yogurt, but these yogurts are so high in sugar they’re better served as dessert. A healthier option is to choose plain yogurt and add your own fresh fruit like raspberries, which are high in fiber and low glycemic so they won’t spike your kid’s blood sugar. You can also add cinnamon, nutmeg or vanilla extract for extra flavor. Yogurt tubes are really convenient especially for school lunches, road trips and when you’re on the go, but many of these yogurts marketed to kids are loaded with sugar, and have artificial colors and flavors. Although yogurt tubes are kid-friendly, it’s not a healthy, natural way for anyone to eat. Not only is using a spoon a fine motor skill, but instead of tasting and savoring each spoonful, squeezing food into their mouths creates an unhealthy mindless eating habit. If you do opt for yogurt tubes however, look for those that are made with real ingredients, and are high in protein and low in sugar. Chobani and Siggi’s are two brands I like. For yogurt to be considered yogurt by the Food and Drug Administration (FDA), it must contain two types of probiotics, S. thermophilus or L. bulgaricus. Yogurts marked with the National Yogurt Association’s live and active cultures seal from means the yogurt has at least 100 million cultures per gram when it’s manufactured. Yet those probiotics may not be present by the time they hits store shelves. 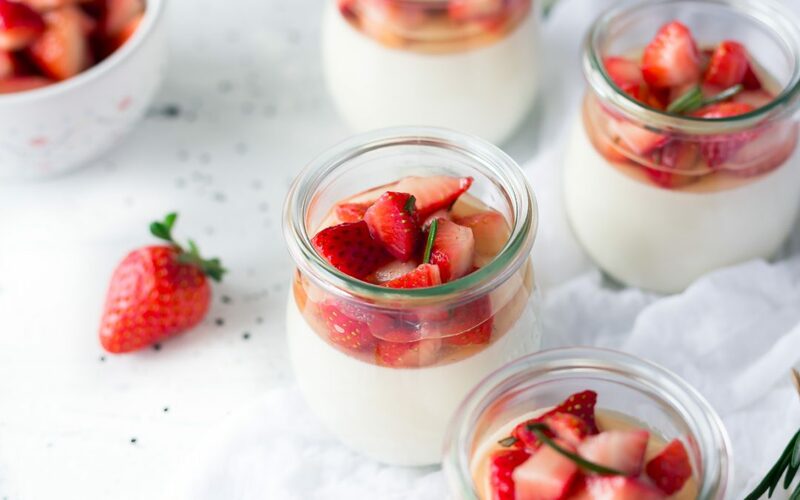 In fact, an April 2017 study out of the University of Toronto found many types of probiotic yogurts had levels of probiotics too low to provide the health benefits found in clinical trials. To fill the void, serve naturally fermented vegetables, miso, tempeh, Kimchi and Kefir, which are better sources of probiotics.